He’s officially been dubbed, ‘The Closer’ owing to his ability to recharge and hype a weary crowd into a musical frenzy and bring the curtains down on a concert in specatular style. On Saturday night, however, at the Digicel Redemption Live concert on the Waterfront, I-Octane exchanged his usual closing presentation in favour of a prime time performance and what a performance it was! The King of Reggae, in whose honour the show was held, must surely have looked down and given a smile of approval. Dressed in full red, with his usual flowing locks constrained under a red, green and gold Rasta tam, the reggae/dancehall superstar paid tribute to Bob Marley with the song Who The Cap Fit, an offering which went down very well with a crowd who was only too willing to receive. I-Octane then delved into his own catalogue and unleashed goodies which sent the crowd at the Waterfront into a musical frenzy. This was I-Octane at his prime time best and they had no choice but to Buss A Blank, as his popular song says. 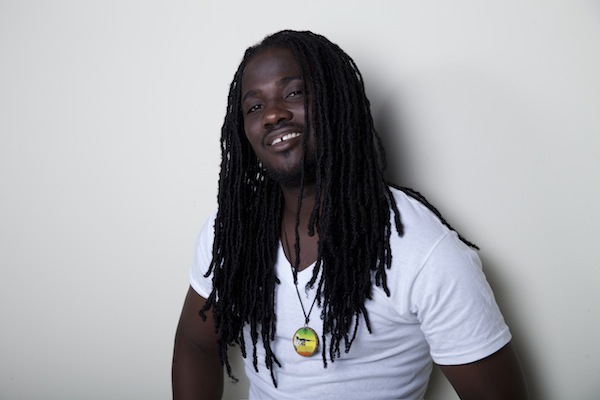 Performing right after veteran Freddie McGregor, who gave a memorable performance, I-Octane, who took charge of the stage for twenty minutes, made a wise selection from his extensive catalogue of hit tunes. His set, which included a mix of the old and the new, saw him doing songs such as Gal Ting, Cyaa Do It, What a way we shattin/We Run di Flippin Place, My Story, the ever popular Lose A friend, Mama Jah Jah and L.O.V.E From the reception given by the crowd, it seemed that every song was a crowd favourite and the more he gave, the more they wanted. He was later joined by Vanessa Bling, formerly Gaza Slim, as they both performed their popular collaboration Cya Do It, which was chockful of chemistry and the crowd just loved it. In an interview backstage after the show, I-Octane was all smiles as he heaped praise on the organisers of the event and stated that he was honoured to perform on a concert in Jamaica paying tribute reggae icon, Bob Marley.